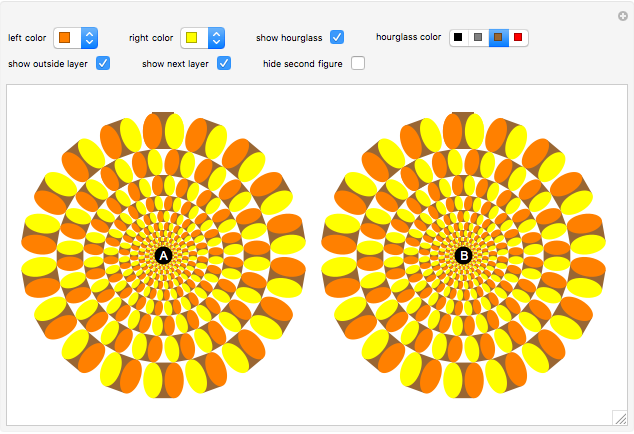 This Demonstration shows an optical illusion produced by circles in a stationary image appearing to spin. 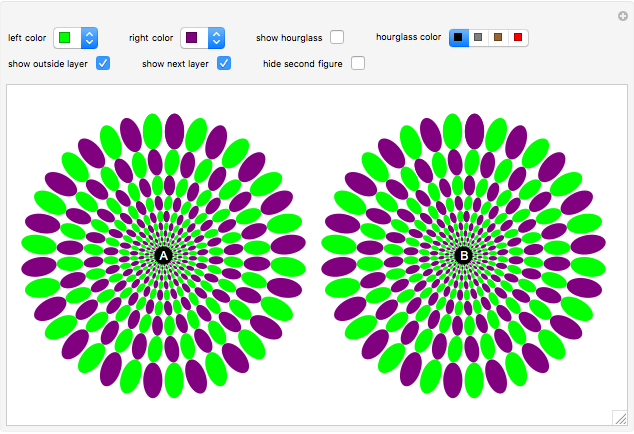 After manipulating several attributes such as color and number of layers, you will find that the illusion is most effective with highly contrasting colors and a large number of layers. 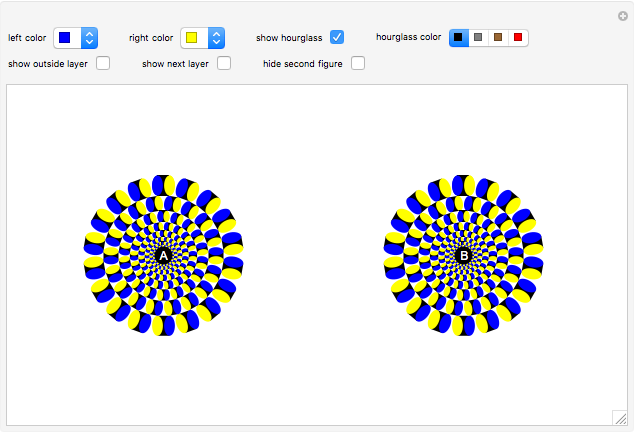 In addition, it is necessary to display two figures side by side so that the viewer's gaze switches back and forth between them, giving the illusion of spinning in the viewer's peripheral vision. Vanessa Beeler and Jonathan Farmer "Spinning Circles Optical Illusion"